Elsewhere in the country, Auckland (and Aucklanders) gets a lot of flak; but look beyond these outmoded perceptions and the country’s largest city has a lot to offer, writes City of Sails resident, Peta Stavelli. Ask anyone living north of Wellsford, or south of the Bombay Hills, what they think of Auckland and they're almost certain to tell you it's all about flash and loads of cash. Not so, I say. To be fair, I've lived on the fringe of this city for almost 30 years (I'm an island girl through and through) and that's exactly what I love the most about this crazy city, with the urban sprawl of Los Angeles: water, water everywhere. The city spans a narrow isthmus between two harbours, the Manukau and the Waitemata. You're never far away from the sea and the centre city itself is the step-off place for the many and varying islands of the Hauraki Gulf. But even if you're short of cash, there are plenty of things to do and see on the revamped waterfront precincts of the Viaduct and Wynyard Quarter, where the comings and goings of cruise ships, ferries, fishing boats and superyachts will have you ogling for hours on end. Just in case you remain unconvinced, I've compiled my personal A-Z of Auckland, with more than 50 reasons to come this way to play or stay. A - Auckland War Memorial Museum: This is New Zealand's first museum, established in 1852. The Museum is one of New Zealand's most popular man-made tourist attractions, with around half a million visitors every year. B - Britomart: This is Auckland's transport hub for buses and trains, located opposite the ferry terminal. From here, buses depart for the airport every 15 minutes. It's also home to swanky shops showcasing some of the country's top designers, great eateries and Bars — and the weekly city farmers market on Saturday mornings. Buskers: The Topp Twins cut their teeth performing on Auckland's Queen Street, and the tradition of showcasing emerging talent remains to this day. This is also home to the annual International Busker's Festival in January. C - Cafes: Auckland is a haven for foodies with some of the country's top chefs like Al Brown, Judith Tabron and Simon Gault peddling their wares in the heart of the city. Metro Eats Auckland is a handy, free pocket guide to the city's 50 Best Restaurants, Best Cheap Eats and Best Bars, as seen in Metro magazine. Download it for free here. Cars: Just joking. Although, if cars are your thing, you will never see so many cars in one place anywhere else in New Zealand. Cornwall Park: A sprawling landscaped park and working farm, just a short bus ride from the city centre. D - Devonport: This charming seaside village is made up of heritage buildings, galleries, cafes, the naval museum and boutique shops. It's just a five-minute ferry ride from Auckland's CBD, and is the fourth most visited destination in the Auckland region, blessed with natural beauty, including some great beaches, the twin volcanic cones of Mount Victoria, and the gun emplacements and tunnels of North Head. Diwali: India's Festival of Lamps is a spectacular way to immerse yourself in one of the most significant festivals on the Indian calendar. E - Events: Auckland is the capital of cool when it comes to seeing international acts. 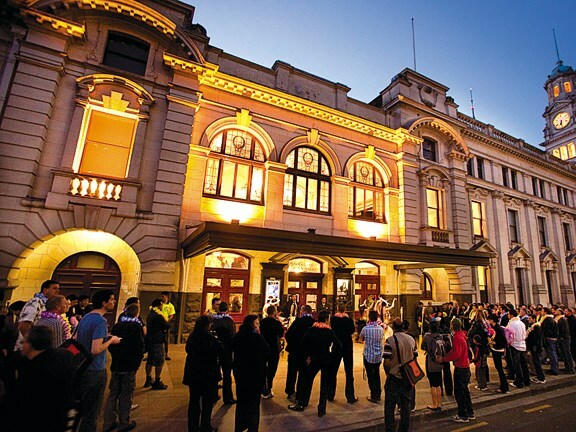 At the time of writing there were 2100 events listed in Auckland, including nearly two hundred free events. Explorer Bus: The Auckland Explorer Bus is a hop on/hop off sightseeing tour, visiting the big 14 attractions with full commentary. The bus departs 365 days a year from the ferry building or from Sky City. Buy tickets from the website or I-sites. F - Free: Forget everything you have heard about Auckland being expensive. 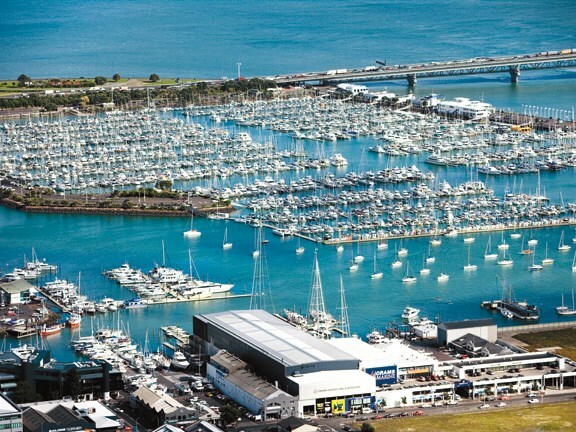 There are hundreds of free events and places to visit, or grab a line and go Fishing, or netting for whitebait from any of the numerous public wharves or jetties. And don't overlook the magnificent beaches, and regional parks for free fun for all the family. Food: Auckland food comprises everything from market stalls to farm gate sales to flash restaurants. 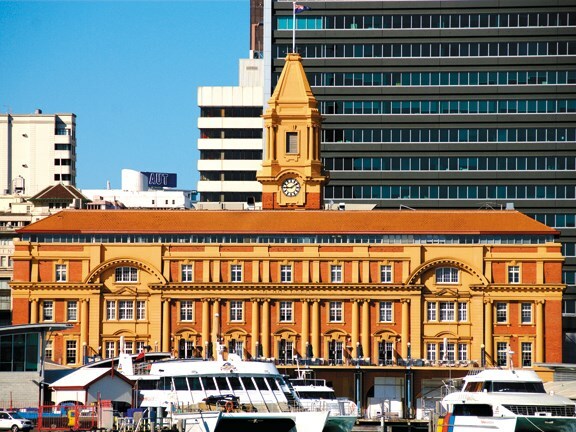 It is also home to the sprawling Seafood Market in the Wynyard Quarter, where you'll find delicious seafood literally fresh off the boat. And don't get me started on food-themed festivals like Taste and The Seafood Festival. Ferries: Auckland's network of harbour ferries rivals Sydney's. You could spend all day on the harbour and never get tired of the ever-changing views. G - Golf courses: There are more than 30 golf courses in Auckland city, with at least seven easily accessible from the city centre, so there are plenty of reasons to bring your clubs to the Queen City. Gardens: Auckland Botanic Gardens is home to over 10,000 plants from around the world and hosts numerous family-themed events; as well as a permanent children's garden. H - Harbour Bridge: Yes, I know Auckland's coat hanger bridge is just a little like Sydney's (only smaller) although it will seem high enough if you take the guided walk to the top. Those with vertigo need not apply. You can even bungee jump, if you're so inclined. I - Islands: Auckland CBD is the departure point for the unique and diverse Hauraki Gulf islands. The closest residential island is Waiheke with a permanent population of around 8000, many of whom, like myself, commute daily to the city to work each day. The population can swell to 50,000 during peak holiday times as visitors throng to the beaches, vineyards, cafes and art galleries. The ferry ride to Waiheke takes you past numerous other beautiful islands like Browns, Motutapu, Motuihie, and the brooding volcanic cone of Rangitoto. Waiheke's beautiful beaches and native forest reserves harmonise delightfully with the cafes, vineyards and art studios. Further away, but still easily accessed by fast ferry is the bird sanctuary TiriTiri Matangi, historic Kawau and story book isle, Rakino. In the distance moody, enigmatic Little Barrier can be seen rising sharply against the horizon; and beyond it, remote and stunning Great Barrier Island. The latest island reserve is Rotoroa Island, formerly an alcohol and drug rehabilitation centre run by the Salvation Army, now a unique arts, heritage and conservation island run by a private trust in partnership with Auckland Zoo. J - Jet Boating: One of the latest thrills to hit the Auckland harbour is the jet boat experience, which will see you don bright red waterproof overalls to take a fast and furious tour of the harbour. K - Kelly Tarlton's Sea Life Aquarium: This is one of Auckland's top visitor attractions, showcasing more than thirty live animal exhibits, from over eighty different species in spectacular habitat displays, all located in a vast underground tunnel network. Kayaking: Opportunities to hire and enjoy kayaking abound in Auckland and include day and night guided tours to nearby islands and fishing experiences. L - Link Buses: The Link Bus network is one of the great things about this city which gets so much bad press for its clogged roads. Board one of three colour-coded Link services — inner (light green), outer (orange), and WynDot (red) and you will be able to see most of the city for a very modest price. Lifestyle: Auckland — also known as the City of Sails or the Big Little City — is ranked among the top five cities in the world to live. It has an enviable sub-tropical climate and is blessed with magnificent scenery. Lantern Festival: Among the many free festivals in Auckland that showcase the large and diverse ethnic populations, the Chinese Lantern Festival includes exciting on-stage performances, authentic crafts, delicious food stalls and the gorgeous illumination of Albert Park by hundreds of hand-crafted lanterns. 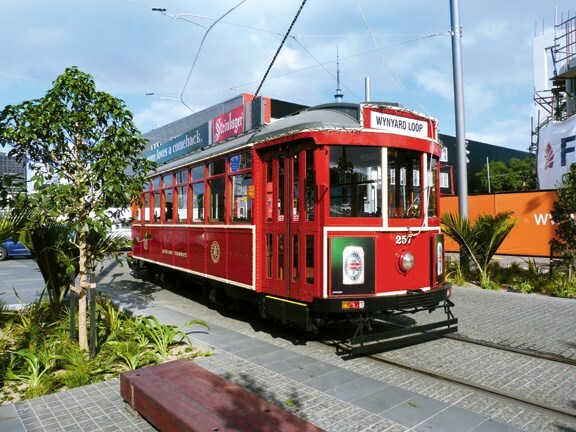 M - MOTAT: Auckland's Museum of Transport and Technology, located adjacent to Auckland Zoo and Western Springs, is a must see. Manukau: Auckland's 'other' harbour is home to some of the most charming getaways within easy reach of the city. Places like stunning Awhitu on the south bank, and fabulous Whatipu on the northern side. Markets: If you really want to enjoy the ethnic mix of Auckland, get yourself to one of the 14-plus markets that showcase the city's best. Avondale and Otara markets for Pacific Island goodies, La Cigale for French Cuisine and Whitford or Waiheke for artisan foods and crafts. 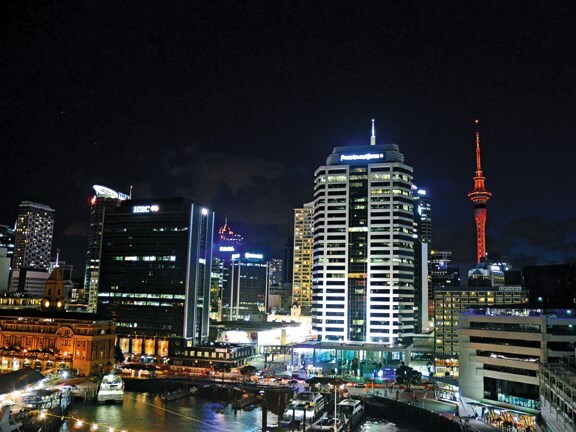 N - Nightlife: If you like nightlife, you'll love Auckland after dark. There's always something to see and do. Even if it's just wandering around Ponsonby celebrity-spotting. Newmarket: Newmarket's shopping strip, and back streets full of boutique businesses, is well worth a visit if you are on good terms with your credit card. O - One Tree Hill: The 360-degree views of the city from this cone make a visit to the top almost mandatory. P - Planetarium and Stardome Observatory: Auckland's Stardome Observatory and Planetarium is, unsurprisingly, one of the city's major attractions. Prepare to be amazed as your guide takes you on an unforgettable tour of our universe. Q - Queen Street: Queen Street is the city's main street, so it's definitely worth a stroll to check out retail institutions like Smith and Caughey, and the numerous quirky shops and alley ways. R - Rangitoto Island: This is the most recognisable feature of Auckland's inner harbour. It features spectacular views, volcanic caves and the largest podocarp forest in the world. Take a ferry and a guided tour and travel by train or walk to the top independently. S - Sky Tower: The tallest building in the Southern Hemisphere is well worth a visit for unsurpassed views of the city. T - Toi o Tamaki/Auckland Art Gallery: Since 1888, Auckland Art Gallery Toi o Tamaki has remained the largest art institution in New Zealand, with a collection numbering over 15,000 works. The gallery is adjacent to the attractive Albert Park. V - Voyager New Zealand Maritime Museum: Voyager Maritime explores New Zealand's rich and diverse maritime history — or experience Auckland's stunning Waitemata Harbour aboard a heritage sailing vessel. W - Waitakere's and beyond: The Waitakere Ranges are the perfect place for mountain biking or walking, and the West Coast surf beaches of Whatipu, Karekare, Piha, Bethels and Muriwai are unforgettable for their soulful beachscapes. Walks: Twenty-two conservation parks within easy reach of downtown Auckland offer over 500 kilometres of walking tracks. Try the Coast to Coast Walkway joining the east and west coasts of Auckland, and taking in many of the city's scenic icons. Enquire at the Visitor Information Centre in the city for a brochure. X - Xtreme Sports: Bungee jump off the Auckland Harbour Bridge or Sky Tower, or participate in one of the many Auckland events for the adrenaline junkie or extreme sportsperson. Y - Yachting: This is the City of Sails, after all. Z - Zoo: Auckland's Zoo is where the wild things are. It is a wonderful place to get close to conservation in action, and to enjoy the wonder on the face of your favourite child or grandchild. Auckland Airport Campervan Park is situated just minutes from the airport with some great activities nearby. The 54 bays are all powered sites with fresh water set within landscaped gardens. Self serve. Jimmy's Road, Manukau. Avondale Motor Park is 10km from Auckland city and 5km from Eden Park. Avondale Motor Park — 46 Bollard Avenue, New Windsor, Auckland. Manukau Top 10 Holiday Park is a four-star holiday park near Rainbow's End, the airport, the Telstra Clear Pacific Events Centre and Manukau Shopping Centre — 902 Great South Road, Manukau City. North Shore Motels and Holiday Park near the Onewa Domain, is close to motorway access and Lake Road leading to Takapuna or Devonport — 52 Northcote Rd, Northcote. Remuera Motor Lodge and caravan park is set on 3.5 acres, just 15 minutes to Auckland's city centre — 16 Minto Road, Remuera. Takapuna Beach Holiday Park is Auckland's only last beachside camping ground close to the city centre and adjacent to a boat ramp — 22 The Promenade, Takapuna.